A man walks past the headquarters of Bashneft JSOC, in which Sistema has an effective ownership stake. As little as 10 weeks ago, mid-sized producer Bashneft was one of Russia's fastest-growing oil companies, much-loved by investors and with an impressive record of increasing production. Bashneft more than doubled its revenue to 56.3 billion rubles ($1.5 billion) in the four years since it was acquired by oil-to-telecoms conglomerate Sistema. On July 9, the day after Bashneft's share price reached its all-time high, analysts at Renaissance Capital urged clients to buy the stock because of a "unique combination of growth and dividends." This success story is now in tatters. 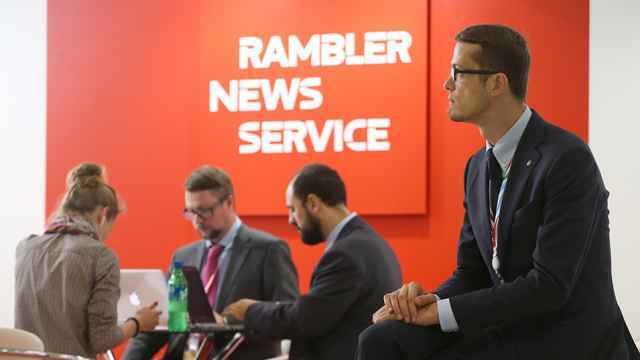 Founded after World War II, Bashneft's success has always based on the oil deposits of Bashkortostan, a Russian republic in the Ural mountains region with a large Muslim population. The company was privatized amid controversy in 2003 and taken over by Ural Rakhimov, the son of a long-time president of Bashkortostan, Murtaza Rakhimov. Rakhimov used dozens of charitable trusts to create a complicated ownership structure for Bashneft in a bid to consolidate control and stave off any hostile takeover bids, according to Shamil Yenikeyeff of the Oxford Institute for Energy Studies. Rakhimov cashed out of Bashneft in 2009, just a year before the end of his father's 17-year leadership of Bashkortostan. Rakhimov senior had an increasingly acrimonious relationship with the Kremlin towards the end of his presidency. Concerns first appeared in late July, when restrictions were placed on Sistema's sale of Bashneft stock as part of an investigation into money laundering charges. 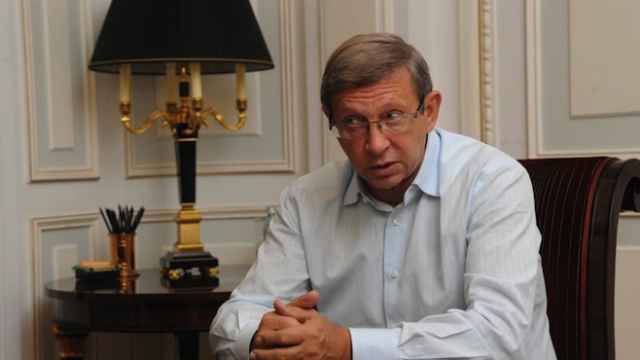 On Tuesday, investigators arrested Sistema's billionaire owner, Vladimir Yevtushenkov. Bashneft's share price plummeted 20 percent Wednesday amid fears that the move was a bid by powerful politically connected business interests to seize control of the oil producer. The company's capitalization is currently about half of what it was at the beginning of July. "Recent events have significantly increased the likelihood of a worst-case scenario, in which Sistema may have to sell its stake in Bashneft," Credit Suisse wrote in a research note Thursday. Speculation about who may be maneuvering to takeover Bashneft has focused on state-owned oil giant Rosneft, which last year spent $55 billion to buy privately owned TNK-BP, another successful and fast-growing company. Rosneft approached Sistema about the possible sale of Bashneft in 2013, according to Russian business daily Vedomosti. Rosneft spokesmen have angrily denied the report — denials echoed by Yevtushenkov last year. But interest from Rosneft would be unsurprising. 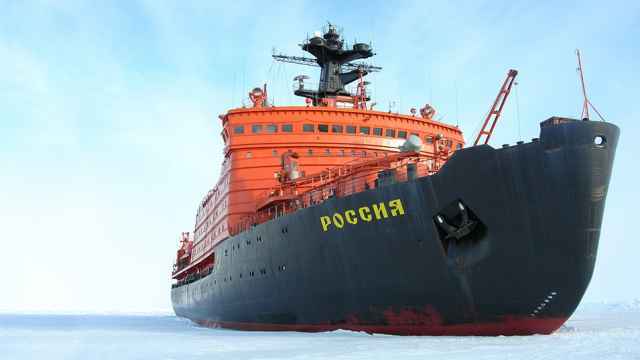 While the oil giant did not compete in a 2010 tender won by Bashneft for Trebs and Titov, a huge Arctic field containing about 200 million tons of oil reserves, the company had previously expressed interest in the site. And Rosneft's rise over the last decade has been built on acquisitions. Chief executive and Kremlin heavyweight Igor Sechin is widely understood to have been behind the arrest of billionaire Mikhail Khodorkovsky and the absorption of his energy assets — oil company Yukos — into Rosneft. Rosneft's expansion drive — which turned it into the world's largest publicly traded oil company — have left it with huge debts of about 1.5 trillion rubles ($39 billion), but these are unlikely to be an obstacle, said Andrei Polishchuk, an energy analyst at Raiffesen Bank. 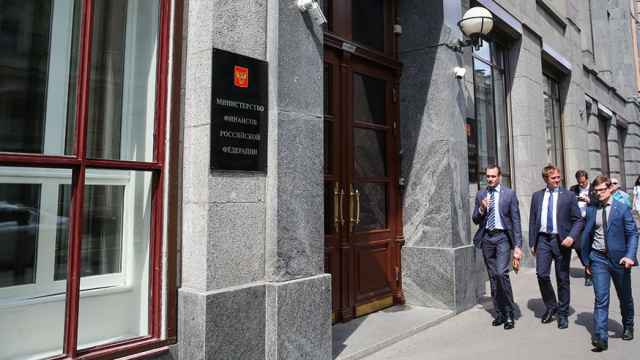 "Rosneft is a very big company compared to Bashneft … and such companies can always find this sum of money, for example in loans from state banks," according to Polishchuk. Others have pointed to Independent Oil & Gas Company, or NNK, run by Eduard Khudainatov, a former chief executive of Rosneft said to be close to Sechin, as a possible vehicle for a takeover. "Bashneft has applied new technologies and new approaches to highly depleted fields … which would make them interesting to a number of companies," said Shamil Yenikeyeff, a research fellow at the Oxford Institute for Energy Studies. "It would make sense for it to be fully absorbed by NNK." NKK was actively buying Sistema shares Wednesday as the company's equity collapsed 37 percent, The Financial Times reported. 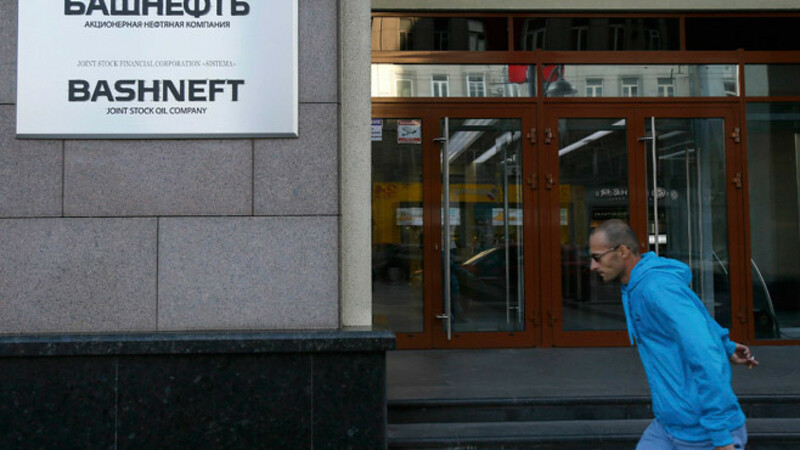 The criminal investigation that has now placed Yevtushenkov under house arrest is focused on the privatization of Bashneft in 2003, and Sistema's subsequent purchase of a majority stake. "I don't know the conditions under which Bashneft was acquired [by Sistema]. … But I think without the appropriate approval of the then-leadership [in the Kremlin] the deal would not have gone through," Yury Luzhkov, former mayor of Moscow and a close associate of Yevtushenkov, told Komsomolskaya Pravda on Wednesday. Another person once close to Luzhkov has linked Yevtushenkov's success, and his apparent fall, to his proximity to Prime Minister Dmitry Medvedev. "During the Medvedev presidency, Sistema totally swallowed Bashneft, won court litigations concerning Bashneft and got a license on one of the largest oil fields in the country. I believe that all that had become possible thanks to Medvedev's personal involvement in those processes," said Andrei Borodin, who fled Russia after the 2011 takeover of Bank of Moscow — which Borodin controlled — by state-owned VTB. But in 2012, Vladimir Putin returned to the Kremlin for a third presidential term and the approach changed. "Today President Putin's people are attacking the former darlings of fortune. … To teach others a lesson, they are demonstrating who really is the boss. So it has happened to [former Defense Minister Anatoly] Serdyukov and [billionaire Suleiman] Kerimov, and now to Vladimir Yevtushenkov," he wrote on his personal website Thursday. Serdyukov has faced a series of high-profile corruption cases since he was dismissed from office in 2012, while Kerimov has been entangled in a series of financially damaging encounters over the last two years.